Spring is in the air and there’s no better place for your outdoor wedding than the Bijoux lawn! With over 10 years of professional experience in hosting events, private parties, and weddings, Bijoux’s award-winning culinary staff has expertise suited for intimate dinners and lavish affairs alike. Bijoux Destin’s Tuna Rillettes Recipe Featured in VIE Magazine! We were thrilled to be included in the collection of Recipes for a Spring Soiree in the March 2015 Food and Fashion Issue of Vie Magazine! Spring has officially arrived and with it comes endless opportunity for a social gathering with friends and family. Pick up the latest issue for step-by-step instructions to prepare your very own harissa-infused tuna dip! We're proud to announce that the 2015 Winemakers Benefit Dinner and Silent Auction were able to contribute more than $20,000 to help with the costs of open-heart surgery for longtime employee William Binford. Community members purchased tickets for $250 to reserve their seats for the dinner, and 100 percent of the proceeds were contributed to the William Binford Recovery Fund. Local businesses donated items for the silent auction and wines were provided by Dunstan Wines of Durell Vineyard, Pip Wines, Sanglier, and Prime Cellars. Wines by these vineyards are all distributed locally by McNeese Distributing. On January 9, Binford was diagnosed with a torn aorta at just 25 years old. He was flown immediately to Pensacola from Destin for emergency open-heart surgery. Insurance will only cover a small fraction of the total costs accrued from his surgery, hospital stay, and recovery. It is the Bijoux team’s hope that with the support of the community it can raise enough funds to cover at least a significant portion of the costs of this unfortunate situation. For more information or to make a donation to the William Binford Recovery Fund, please visit his fund-raising page on YouCaring.com. Let Bijoux Destin Cater Your Next Big Event! One of the most important ingredients of a successful event is by far the food selections for guests to enjoy. Bijoux now offers its fine cuisine as a catering option for you and your guests to savor! Bijoux Destin’s very own Jack McGuckin was selected as one of this year’s Culinary Maestros for the annual Wine, Women and Shoes 2015 Vintner Dinners! 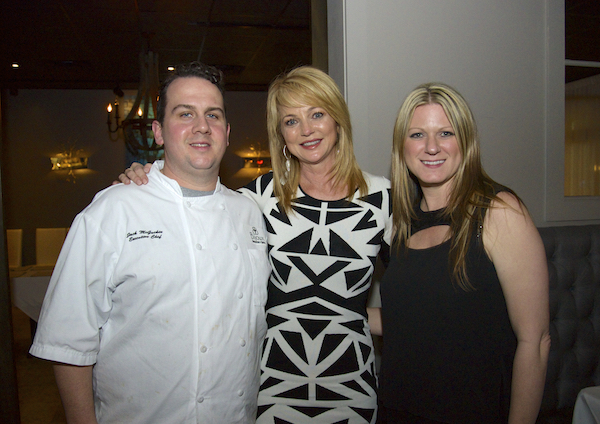 Below are pictures of chef McGuckin along with Bijoux Destin owner Robert Bulgarella. Join us on March 5, 2015 at 6 pm for an Evening of Winemakers to benefit William Binford, a beloved member of the Bijoux family. Enjoy an evening filled with amazing wines, delicious food, and precious company, with all proceeds benefiting William on his road to recovery from open heart surgery. You can read his incredible story below. Please contact Robert at 850-502-0243 or rpcorban@gmail.com for reservations. Over the last several days, William had noticed a lump extending from his sternum. After visiting with the doctor he was diagnosed with an infection. Earlier today William underwent an additional surgery to remove the infection that had formed around the original incision site. At this time it’s unclear where the infection came from, but the doctor is under the impression that it was introduced from an outside source during the original surgery. William will be fitted with a wound vac tomorrow and will be in the hospital for several days. Once he returns home he must keep the wound vac on until the doctors feel that there is no more chance of infection. We’re incredibly thankful that the infection didn’t wrap underneath his sternum, which would have caused the doctors to have to re-break the bone. William’s sternum has healed well and the doctors have said that at this point they’re “cautiously optimistic” that the infection has been contained. We’ll know more over the next several days and will continue to update you all. Please keep William and Katy in your prayers. "On the morning of January 9, 2015 William went to the emergency room at Sacred Heart of the Emerald Coast, thinking that he had a heart murmur and possibly the flu due to the fever he had. He hadn’t felt good for a few days but had worked the previous evening despite that. Katy told us that when he got home he felt like he had a heart attack but then fell asleep so she didn’t worry too much about anything other than the fever he was apparently running. By morning, Katy insisted that he go to the doctor at an urgent care clinic. From there, the doctor who thought he was listening to a heart murmur told William to go to the ER to have it checked. Undetected heart murmurs are very rare to finally show up at age 25. Once at Sacred heart, William was diagnosed with a torn aorta and was told he needed to be flown to Sacred Heart in Pensacola, Florida immediately. At this point, not understanding the magnitude, William tried to tell them he could drive but was told that was not an option. From there, he was life flighted to Pensacola and taken immediately in for open-heart surgery. Katy gathered a few items for him and drove immediately to Pensacola while he was in flight. Once at the hospital, she was unable to locate him. Due to the immediacy of his need for surgery, the team that flew him from Destin bypassed even the check in process. While in surgery for over 5 hours, the surgical team discovered that his aorta had dissected which means that it was no longer connected to his heart. His carotid arteries were also reconnected to his heart, as they were also completely detached! The fever that he had been running was due to the blood filling his body since his heart could not disperse it correctly. William was also given a mechanical aortic valve during the surgery. So, what does all this mean? Well, even though William has insurance, they are only going to cover a small fraction of the total costs that will be involved with his surgery, hospital stay, and recovery. He is looking at between 6 and 8 weeks before he can return to work with the addition of at least 6 months before he can lift anything heavier than a gallon of milk. He is also in need of quite a bit of at home care that Katy is stepping up to like nothing we have ever seen. Since Katy is staying home to care for him that also means that part of her income isn’t coming in. At 25, I doubt any of us would have thought twice about these kinds of major life changes and the expenses that go with them. It is our hope that we (the staff and owners of Bijoux) along with the awesome community we are surrounded by can take at least a portion of this burden from these two amazing people. If you have ever been in Bijoux, you have likely seen Katy. She has a smile that is hard to miss, even from across the room. She is honestly as happy and caring every day of her life as she was to you if you have ever had the privilege to have her serve you. William (known by many as “Binford”) is the TALL guy that you see behind the bar. He has created most of the new drink menus that you see in the restaurant, right down to hand infusing some of the spirits that we use. We also recently had the privilege of being with him when he became a level 1 Sommelier. He is an invaluable member of the Bijoux family and has been since he was 17. He has worked his way from a busser all the way up to our bar manager/assistant manager position. To say he is missed at this moment is an understatement, and we absolutely cannot wait until he returns. In the meantime, we will be doing all we can to help and hope that we can count on you to help as well if your heart is leading you to do so. Thank you for the time that you have taken to read about our friend. We appreciate you more than you know." Bijoux Destin’s unique dining rooms and beautiful outdoor spaces provide the perfect venues for weddings and special events. 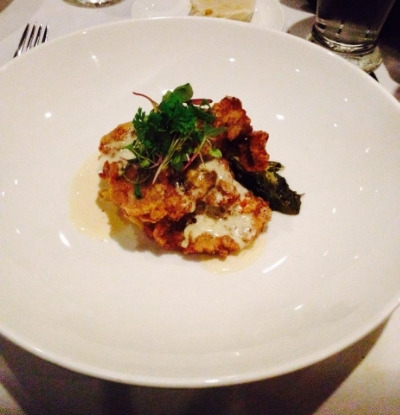 Give your guests the highest caliber of food and service on the Gulf Coast and an experience they will never forget. 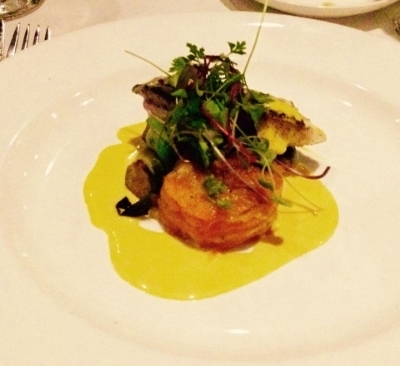 We pride ourselves on offering a delicious menu that accommodates all of our guests. If you’re looking for gluten-free options on a menu that doesn’t sacrifice the quality of your dinner experience, then look no further. Here’s a list of all of the Gluten Free options from our menu!